I know, I know this was not on my list of Fall baking treats. But my friend Lindsay began telling me about these donuts that she used to eat in New York around fall time and how it was her favorite fall treat. 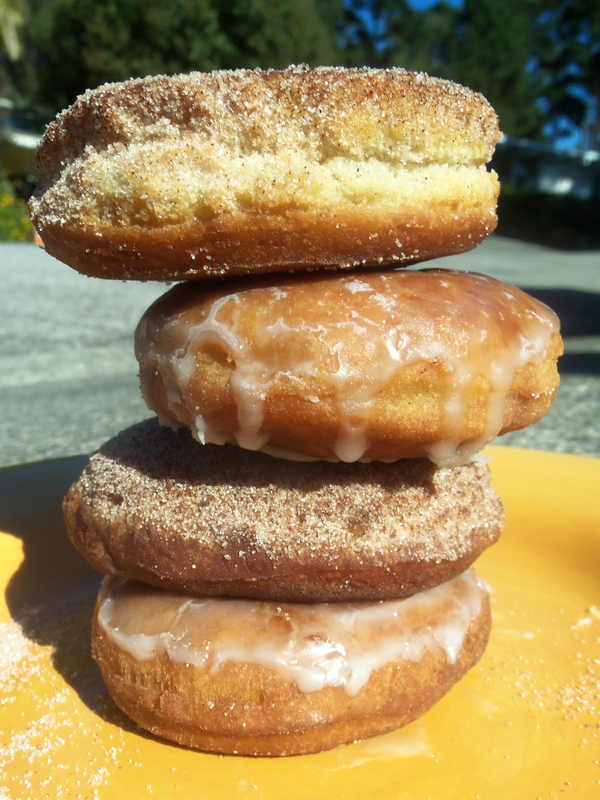 Being the good friend I am and the fat kid that lives inside me, I began thinking about how delicious it would be to make these apple cider donuts. And delicious it was. 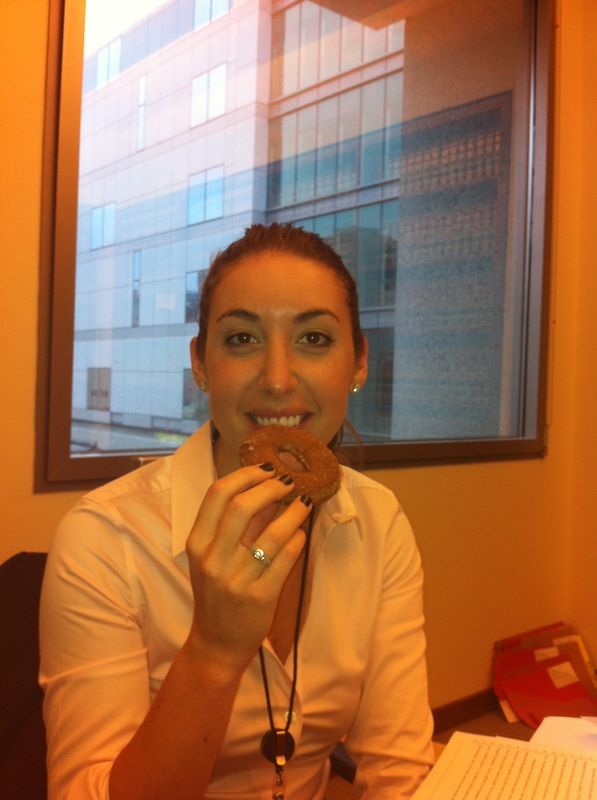 Plus, I’ve never made donuts so it was a new experience. Donuts aren’t as hard to make as I thought they would be. Because it is dough there is a lot of inactive waiting time. Also, don’t be scared off if you aren’t the biggest fan of apple. These donuts do not taste overly like apple. Instead it’s just a hint of apple and cinnamon. Exactly what fall is all about! (1) In a pan on medium heat, reduce the apple cider to about ¼ cup. This should take about 20 minutes. Set it aside and let it cool. (3) Line two baking sheets with wax paper (or parchment paper) and sprinkle generously with the extra flour. Pour the dough onto one of the floured baking sheets. Sprinkle flour on top of the dough and your hands. Flatten the dough with you hands until it is about ½ inch thick. (If the dough is still sticky, use more flour). Transfer the dough to the freezer for about 20 minutes until it is slightly hardened. (4) Take the dough out of the freezer. Using a donut cutter (I used this one from Williams-Sonoma, but if your Bed, Bath and Beyond has this one then it would work just as well for a better price. However, the Bed, Bath and Beyond one will make bigger, therefore less, donuts) cut out donut shapes. Place the cut donuts and donut holes onto the second floured baking sheet. 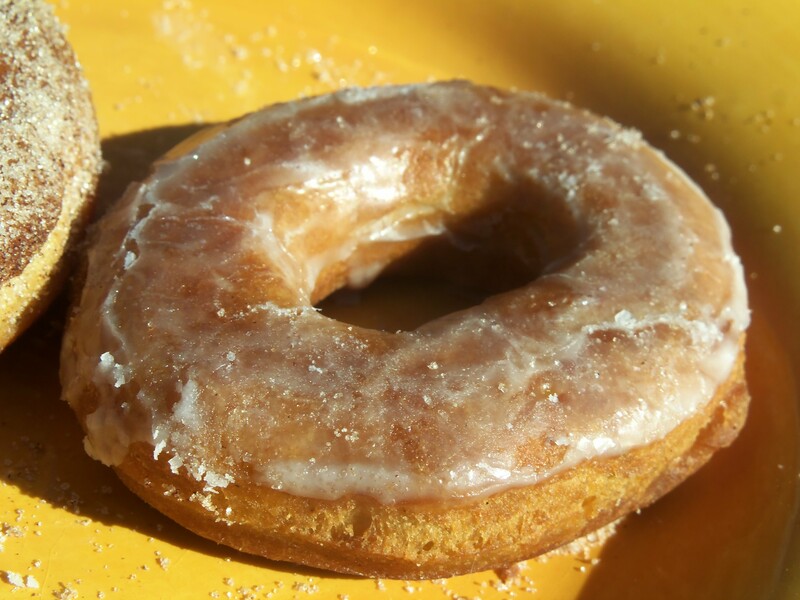 Refrigerate the donuts for 20 – 30 minutes. Also re-roll the extra dough and place it back in the freezer to harden. Then repeat the next steps with the extra dough. (5) While the donuts are refrigerating, you can begin to make your toppings. For the glaze, whisk together the powdered sugar and the two tablespoons of cider until smooth. For the cinnamon sugar, whisk together the sugar and cinnamon until well combined. (6) Add enough shortening or oil to a deep-sided pan so that it measures about 3 inches. For me, It was about 1½ to 2 cups of shortening. 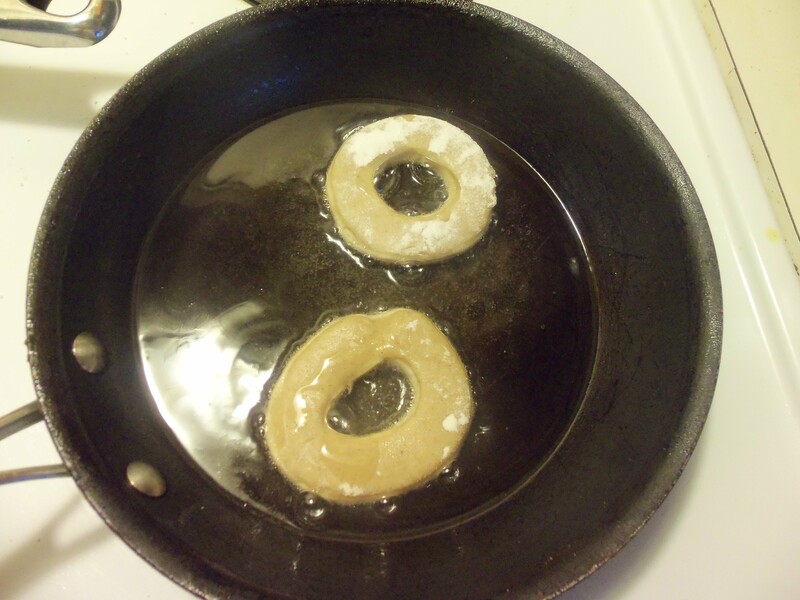 (While I know that shortening has trans fats and isn’t good for you, if you fry the donuts in shortening it will be less greasy than with oil. 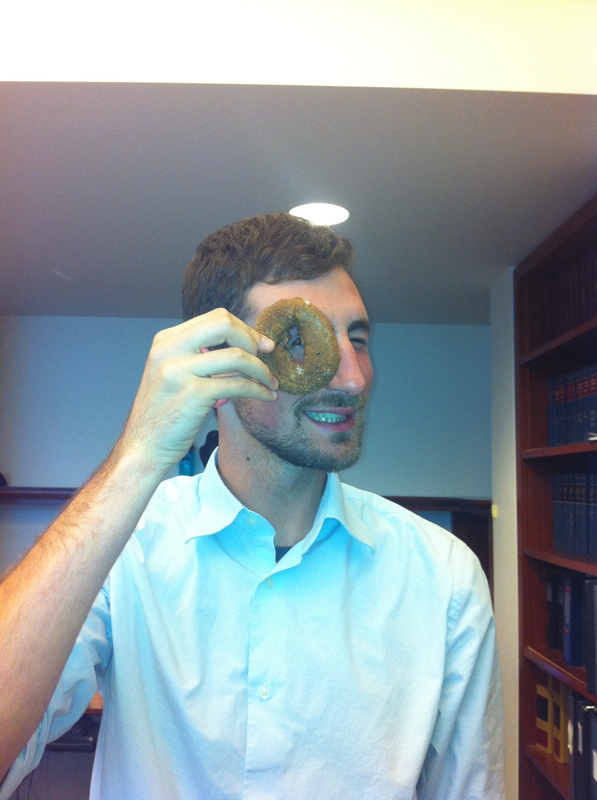 Personally, greasy donuts do not sound appetizing, so shortening it is!). Heat the shortening or oil on medium heat. Attach a candy thermometer to the side of the pan and heat the shortening or oil until it reaches 350 degrees Fahrenheit. Have a plate lined with several paper towels. * After the donuts have cooled and the topping has dried, if there are still some left over place them in a sealed Tupperware container. I know for sure that they can last till the next day. However, my donuts were all eaten by the second day. So past that I’m unsure. If someone knows, please let me know! 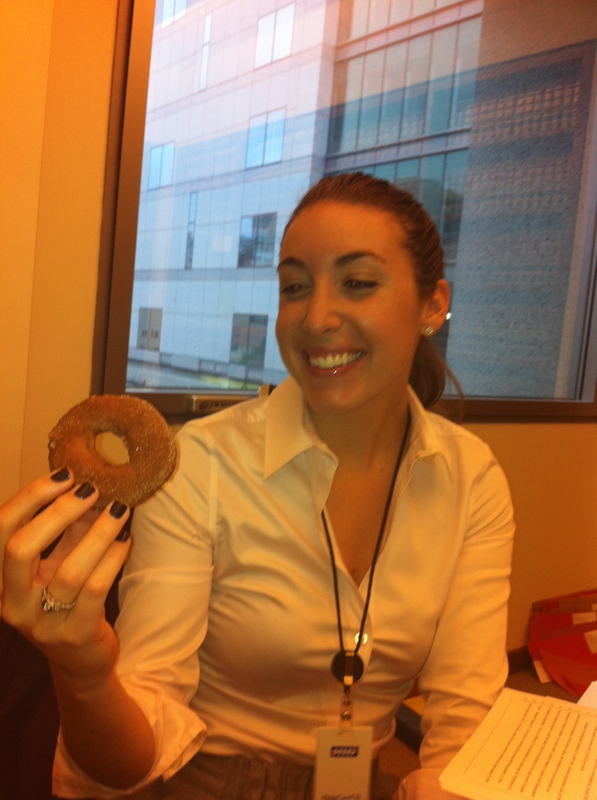 Lindsay’s 5th Apple Cider Donut?? Thanks, Alicia! 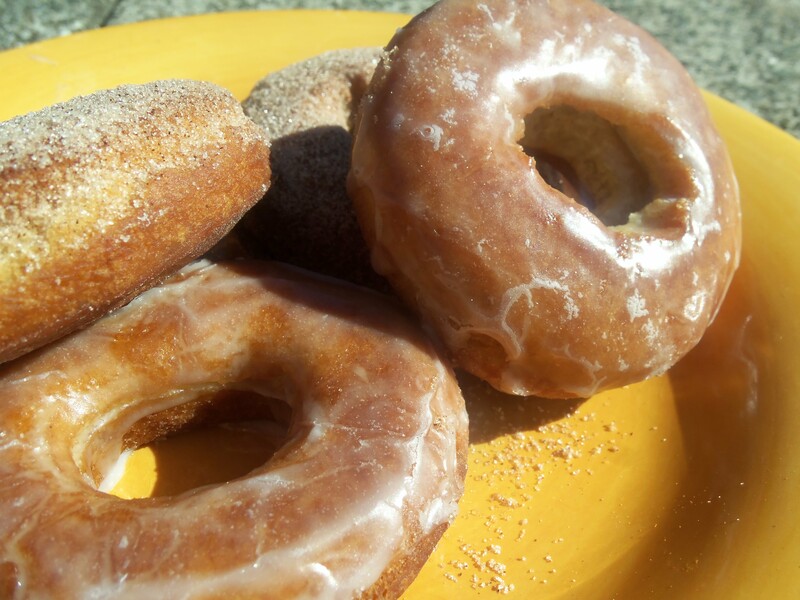 These were amazing–exactly like the donuts I remember eating at apple orchards in upstate NY and Vermont during fall. 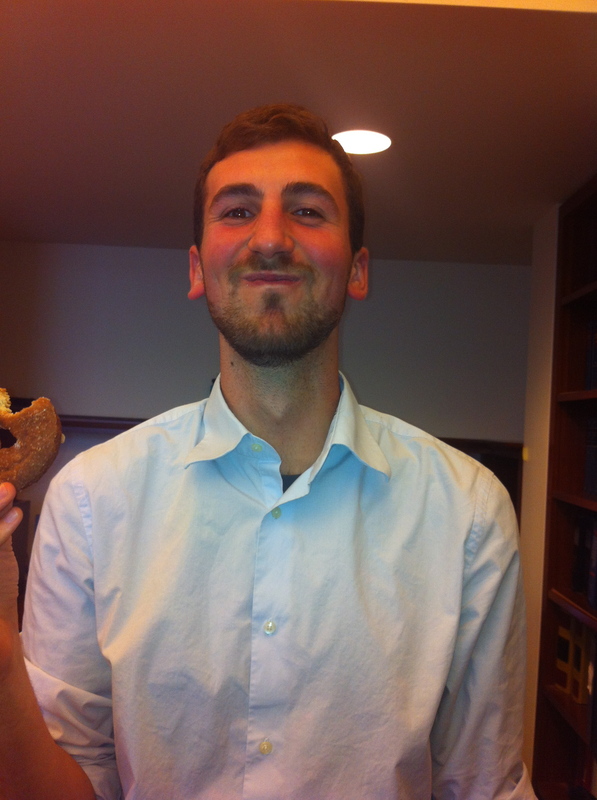 I like how longingly I am looking at that donut in the first shot. It was true love. There is nothing that says Fall like a nice warm apple pie. I have found a great way to make this all time favorite even better. Personal peices of pie:) All you do is make your pie as normal but instead of it getting put into a pan to bake you simply put the shell and stuffing into a cupcake pan. Only 6 are allowed at a time for spill over. This way there is no cutting and everyone gets just the right size/hand held peice of apple pie:) Or any other treat you don’t want to spend time cutting! Thanks! That is a great idea for pies! I am so glad you posted this. 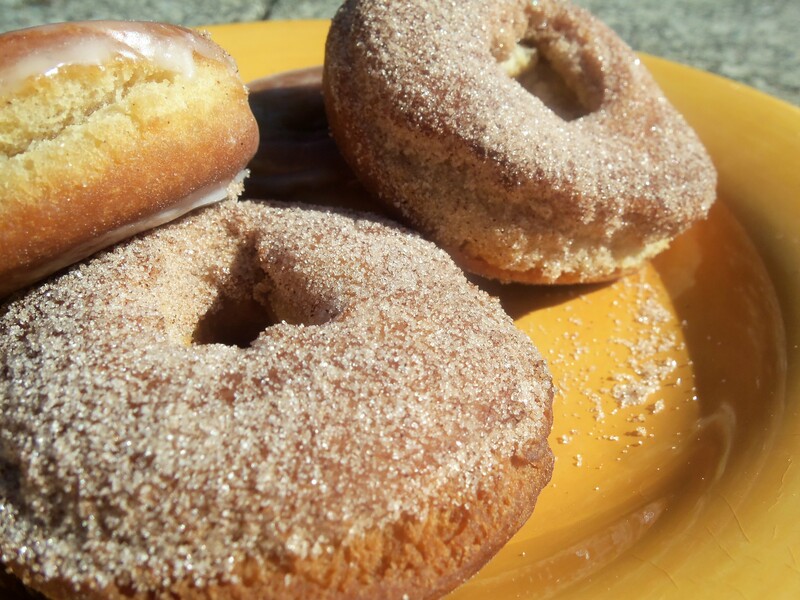 One of my favorite bloggers mentioned cider donuts being one of her favorite fall treats and I was like, “what are cider donuts?” I thought it was a typo, and that she had meant to just say that she loved cider. :p Anywho, these look fantastic, and I will definitely try them. I thought the same thing when my friend was telling me about them. If you make them let me know how they turn out and if you do anything differently. Apple oatmeal cookies sound delicious! If you have a great recipe for it, let me know!